One of the zombies that did attack them seemed to say “no” before it was shot… And with Warren and Cooper a zombie covered when they pointed a gun at it. It still kept trying to attack - but it cowered and showed fear. And no, they don’t know what’s in them but assume some kind of brain extract. Without them they become zombies - but otherwise can communicate as normal. Ish. Lt. Dante who seems to be her second is a zombie talker but seems a little slow and Braaaainnnssyy around the edges. This episode brings in a really difficult and fraught concept. Zombies are the disposable monsters you kill randomly but occasionally angst over. Trying to keep people around to heal them - like Cooper did - is impossible and killing them is termed as “mercy”. Because there is no hope for them. And now we have zombies who talk and think and, in many ways, are indistinguishable for living humans. 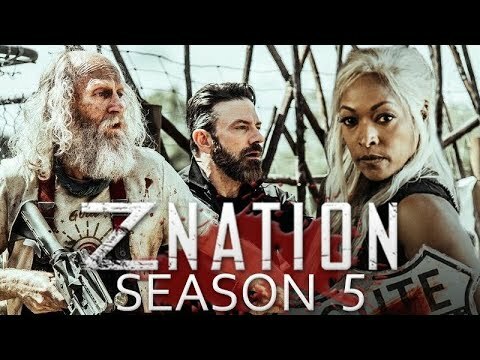 Z Nation has always played a little with this line before with Murphy and his daughter straddling the line and being able to communicate with zombies. But this makes it far broader and raises far more questions and puts a whole lot more grey about killing zombies, looking to cure zombies and seeing zombies as disposable. They’ve opened the possible door for levels and nuance as well - Lt. Dante is significantly “deader” than the the ones with Doc. it’s possible this age - but if there is a spectrum of zombieness it also makes it even harder to say where you draw the line between a “Talker” and a zombie they kill? Things could get delightfully complicated here.